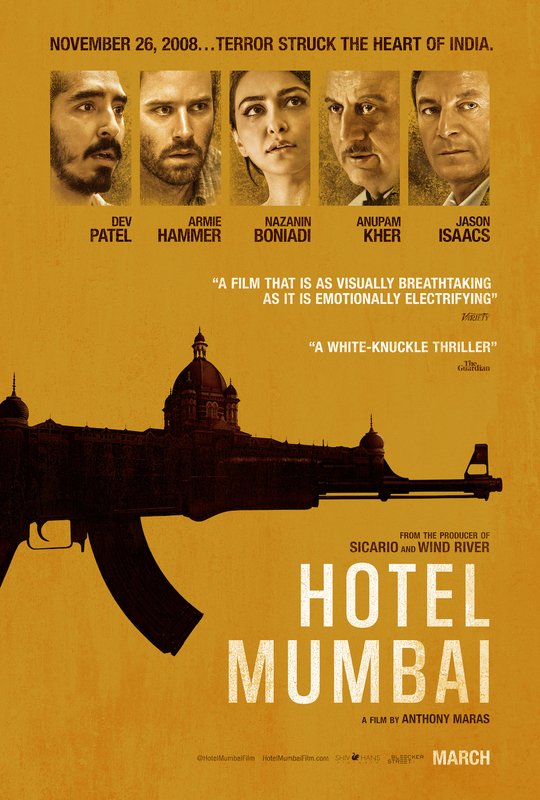 There's your Hotel Mumbai poster, to go along with the trailer we got a couple of weeks back (see it here) -- the film, which stars Dev Patel and Armie Hammer and Jason Isaacs in the true-life story of the terrorist attacks in the titular Indian city in 2008, comes out on March 22nd. If you've glanced at the films I've seen down in the right-hand column you might've maybe caught that I saw this recently, and while I'm embargoed from reviewing it until closer to its release I feel absolutely fine continuing to present its press materials and telling y'all to plan on seeing it, so that ought to tell you something, wink wink nudge nudge. 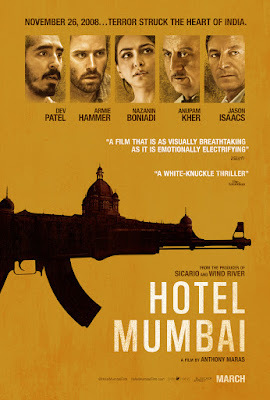 Glad to hear it's good but man that is a terrible tag line at the top of the poster.